Malapascua is so small you can easily walk around the entire island in a couple of hours. Despite having beautiful beaches Malapascua caters almost exclusively to scuba divers. It is one of the few locations where you can find the elusive thresher shark - the other being (strangely enough) Mexico near Yelapa. Even if you’re not a scuba a diver and you’re looking for a beautiful remote getaway, far from civilization, put Malapascua on your list. 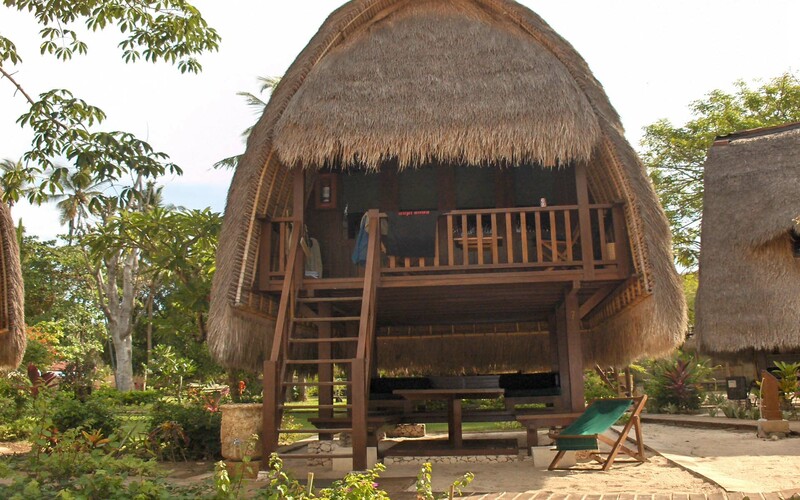 Malapascua has a lot more choice in accommodations than Coron and one can find accommodations to suit every budget. We stayed at the SunSplash Resort and the cost for the Super Deluxe Rooms were $95.00 per night, breakfast included. You certainly can find rooms for less - and definitely for more. The rooms are modern, more like suites, with satellite TV. 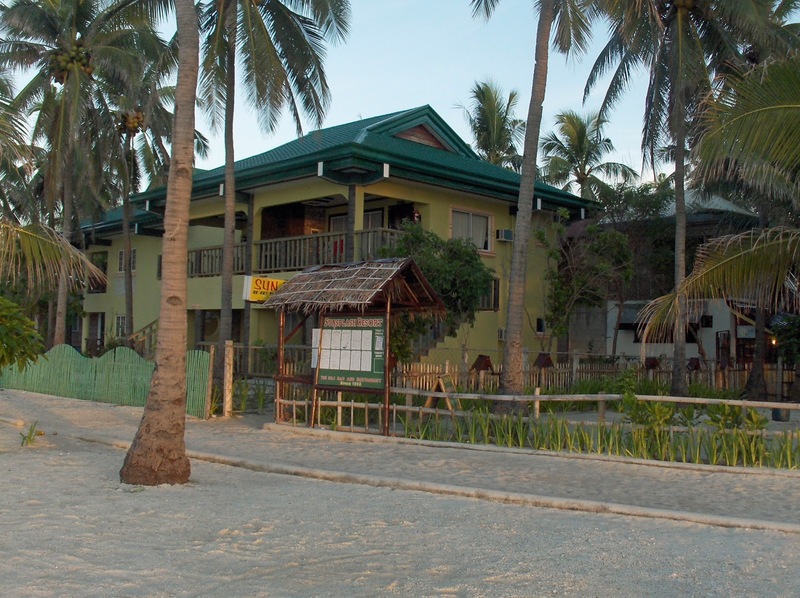 The resort, like all the resorts on Malapascua, is right on the beach. On Coron, the accommodation was so-so, but the dive shop was very professional. Here it appears the opposite. We were met by Otto, a tall blond German who ran the dive shop. IMPORTANT TRAVEL TIP: If you are Jewish and the person who's hands you’re putting your life in, is reading a magazine featuring a Nazi storm trooper on the cover, be afraid. Be very afraid. Bruce and I were quickly fitted with equipment and sent on our way with instructions to show up tomorrow morning a little before six. The morning dive is why we came to Malapascua Island – to find the rare thresher shark. The next day we show up at the appointed time. We are transferred to the dive boat where our dive gear is. Somehow our BCD's (vests) have been magically changed, and I end up with an x-small instead of the medium I had selected at the dive shop. I already know I can't fit into an x-small from the fiasco in Coron. But by the time I discover the error everyone else is already in the water and I realize I’m going to have to make do with what I have. It is a very uncomfortable dive and I’m forever falling behind the rest of the group. However while I was lagging behind fiddling with my vest I happened to look up and there in front of me is a thresher shark! The only one anyone saw that day. No one believed me, but I had the pictures to prove it. At lunch I returned to the dive shop to see Otto, still engrossed in reading tales of the good old days. He looked blankly up from his reading material. “No. It's too tight. It's hard to breath. Sort of like when you're lederhosen doesn't fit and it's hard to slap your thighs.” I said. With a sigh Otto puts down his magazine and gets up and gets me a new one. “You want gas?” He asked with a smile. I have to admit the new BCD works well and the air doesn't have any funny smell to it. The remaining dives go well. Our last dive is on the Dona Marilyn – a 100 meter long passenger ferry that sank in a typhoon twenty years ago with a great loss of life. It's now lying on its side - amazing still all in one piece – which is more than I can say about some of the ferry's I've seen on the surface here. On our last day we chartered our own banca (about a 30 foot boat with bamboo outriggers on either side) for about $20 four hour island hopping and snorkeling trip, lunch included. Tomorrow Bruce heads for home and I head for the haunted Island of Siquijor.